Like the average person on the street, I have a to-do list which asexually reproduces and multiplies. It’s the only explanation. I wish my bank account worked on the same principle. For every debit, I get two credits. Dreams, right? I was starting to feel a bit crazy the other week. It felt like for every list I got on top of, another burgeoned sideways. And in my new spirit of ‘something’s-gotta-give-and-it’s-not-going-to-be-me’, I just stopped and took a breath. 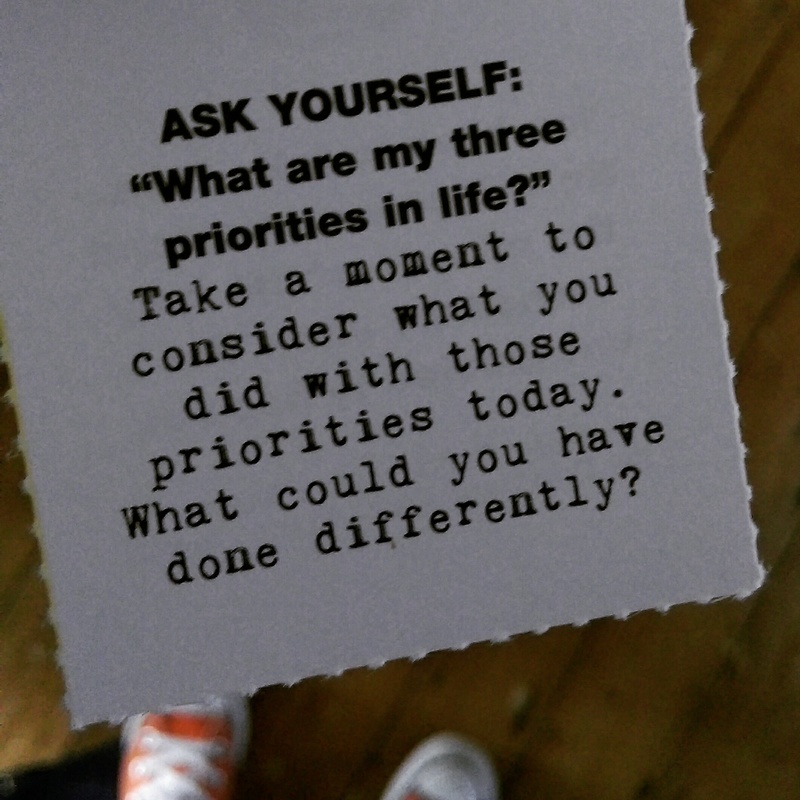 Channeled this prompt from Flow magazine. And moved on. And guess what? The world didn’t end. Things still got done. And my sanity is still (mostly) intact. Do you have gremlins in your fridge, too? I can’t believe the amount of food we go through every week. And we don’t even pack lunches! Yeah, those lists grow. It’s unbelievable. Love that quote (prompt). Thanks for sharing that. That’s also my “to do” list… the only one I have and the only one I’ll ever have. The rest I just make up as I go along. I have recently discovered the pantsin school of life and I’m a fan. Yep, winning most days. I can do this. Good old Flow. Always a wise when you need it. I know how you feel with the lists.